I have combination skin and I get breakouts in the t-zone every month with varying severity. My t-zone can also get pretty oily especially after a long day (gross!). I’ve been using this now twice a day for about 2 weeks and I’ve noticed a difference in my skin. I haven’t had a breakout in 2weeks (!) and I've noticed a considerable reduction in redness meaning I don’t have to use as much concealer and powder etc. My skin feels much cleaner and fresher and my t-zone doesn’t get as oily as it used to as well. My sis has similar skin to mine but her breakouts are worse than mine. She had a particular problem patch on her forehead for a while which just would not go away! Cetaphil has calmed it down and she hasn't had any new breakouts. 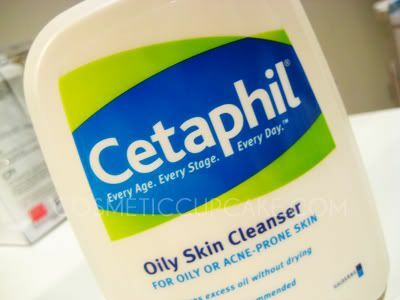 "Recommended by dermatologists for oily, combination or acne-prone skin that needs special care. *The smell - it reminds me of cough syrup! If you enjoy reading my blog please follow me! i heard this cleanser is using by many korean girls to get they smooth skin. @yurina: It's my new favourite cleanser so definitely try it! Korean girls have very nice skin, I wish I had such clear skin! I use this stuff every day. I love it! It's the only thing that has been able to shrink my pores and keep my zits at bay. New domain name and post-test hauls!